Ongoing inflammation in the body is behind the development of many medical conditions, including abdominal obesity (fat around the middle), insulin resistance, hyperglycaemia (high blood sugar) and high blood pressure. 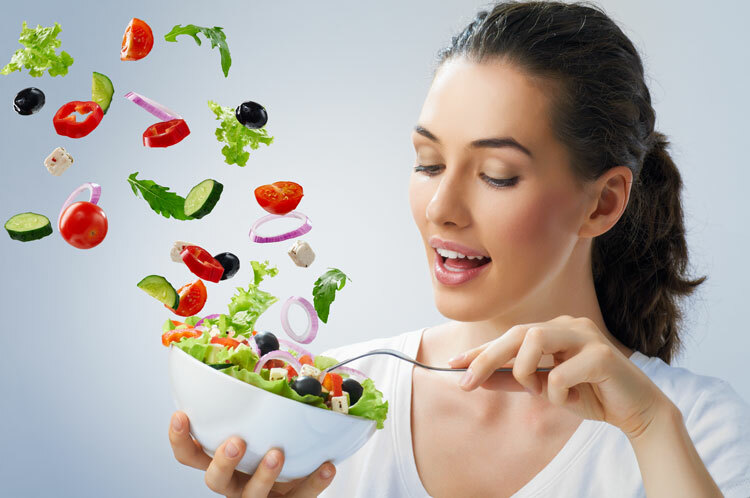 Doctors know that healthy diets and weight loss are the key to reducing inflammation and insulin resistance. And that Mediterranean diets, rich in fruits, vegetables, nuts, legumes, olive oil, with a moderate amount of red wine and small serves of meat and dairy - have been shown to reduce inflammation, whereas Western diets high in saturated fat from processed and takeaway foods increase inflammation. But now, researchers into the Mediterranean diet have developed an index to rate foods by their capacity to cause inflammation. Fruits and vegetables. Eating a variety of fruits and vegetables is associated with reduced inflammation. Eat a mix of different-coloured fruits and vegetables each day. The different colours come from different phytochemicals which have antioxidant and anti-inflammatory effects. Lycopene is red and is found in tomatoes (especially cooked ones). Beta-carotene is orange and found in carrots, butternut squash and red peppers. Chlorophyll is green and found in dark green leafy vegetables and anthocyanins are red and purple and found in blueberries, cherries and radishes. Herbs and spices. Despite the relatively small amounts that we use in cooking, these condiments punch above their weight in terms of health benefits. They can help in lowering high cholesterol, reducing high blood pressure, slowing brain decline and help with blood sugar control. Use them to flavour food, in place of salt. Nuts. Eating nuts is associated with lower levels of circulating inflammatory compounds in the bloodstream. Aim to eat 30 g of nuts per day. Legumes and wholegrains. Legumes, such as beans, peas and lentils, have great fibre content, are low GI and have anti-inflammatory properties. Similarly, wholegrains, where you literally eat the whole grain, including the germ and the bran, contain more nutrients and phytochemicals than refined grains, such as flour, and have anti-inflammatory properties. Wholegrains include oats, wheat, barley, corn and quinoa and can be found in wholegrain breads and cereals. Legumes should be eaten at least twice a week and wholegrain breads and cereals every day. Healthy fats. Fish, fish oils, walnuts, flaxseeds (linseeds) and canola oil all contain healthy omega 3 fatty acids, which help fight inflammation in the body. Extra virgin olive oil contains oleocanthal, a natural anti-inflammatory substance which has been shown to reduce inflammation and kill cancer cells in the laboratory. It also contains oleuropein, another anti-inflammatory agent. Dietitians advise eating at least 2 fish meals a week, incorporating omega-3-rich nuts and seeds into meals, and using extra virgin olive oil in cooking and salad dressings. Tea, red wine and cocoa. These foods contain several different antioxidants, including polyphenols, catechins, procyanidins and resveratrol. Luck for us, all of these antioxidants have been shown to have anti-inflammatory effects, but that doesn’t give us carte blanche to over-indulge. Experts advise that it’s OK to enjoy dark chocolate and red wine in moderation, but drink green and black tea regularly. Adapted from an article in Medical Observer “6 anti-inflammatory foods” by Lisa Yates, an Advanced Accredited Practising Dietitian with a Masters in Nutrition and Dietetics. Disclosure: Lisa Yates consults to the tree nut industry. Lisa Yates is an Advanced Accredited Practising Dietitian with a Masters in Nutrition and Dietetics, graduating in 1995. Lisa runs her own private practice in Frenchs Forest Sydney and has interests in cardiovascular disease, diabetes, weight management, gastroenterology and sports nutrition.